Tall buildings are all the rage in Edmonton these days. It seems the flood gates have opened on a new tall building frenzy, the likes of which is unmatched since the heydays of the 1970s and 80s. The last skyscraper building boom in Edmonton forever altered our landscape and resulted in the systematic destruction of much of historic Jasper Avenue and other historic buildings across central Edmonton. This latest surge is thanks in part to a relatively strong economy, re-investment and resurgence in the downtown, and the opening of airspace due to the closure of the City Centre Airport. While some projects have stalled and others enter the final phases of construction and still others remain the stuff of pure speculation, virtually every tall building has faced some form of public concern or controversy. And since the tall building fever is stretching beyond the downtown, it might be time for Edmonton to consider some tall building guidelines. Edmonton’s Zoning Bylaw sets height limits for virtually all zones. The Downtown Special Area has a fairly robust, albeit amendable, set of design regulations for tall buildings in the various zones that make up the Special Area, including setting maximum heights for each downtown zone. However, beyond Downtown and Old Strathcona, tall buildings are dealt with and regulated on a generally piecemeal basis. If the height in a standard zone is insufficient to satisfy a builder’s vertical dreams, an application can be made via the arduous process of rezoning to a direct control zone that sets site-specific regulations. Such regulations for proposed tall buildings typically include some fairly specific urban design guidelines. I’m oversimplifying here but the point is, as the Toronto Tall Building Design Guidelines point out, “tall buildings are desirable in the right places, but do not belong everywhere.” A set of guidelines to better establish where they belong, where they don’t, and how they are designed and integrated in our city would go a long way to providing some clarity to the tall building game in Edmonton. Tall buildings by their very nature are meant to stand the test of time. Doesn’t it make sense to do some sort of planning on more than an ad hoc basis to ensure these buildings are sited properly and are sensitively integrated within the surrounding urban landscape? Rather than reacting to applications and proposals as they come in, a more proactive approach could go a long way in assuaging our fear of heights. 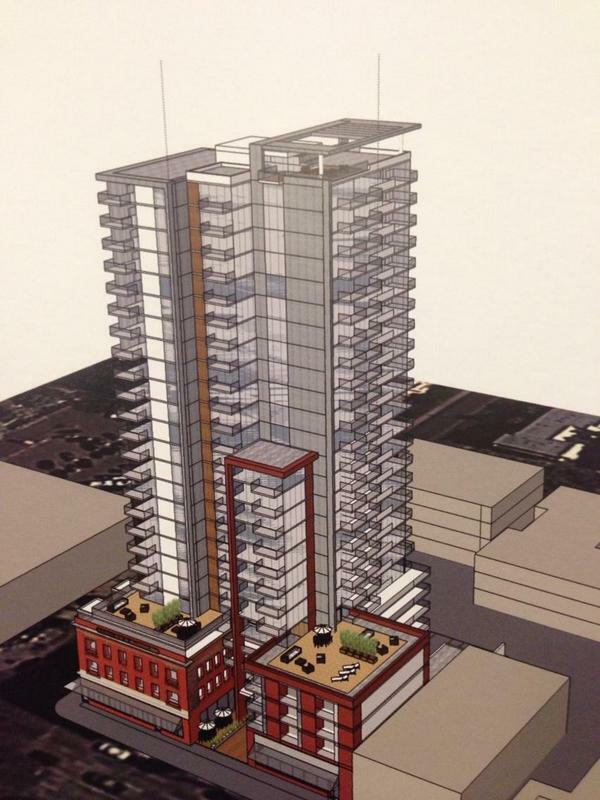 In any case, Edmonton’s tall building fever has reached a fever pitch. And with deepest respect to THE Bruce Dickinson, the only prescription this time is probably a little better thought, sensitivity, and planning. tall is good! and long overdue in Edmonton. i’d prefer supertalls, like Stantec, to be in the downtown core, but we see tall buildings in Oliver like The Pearl, tall condos by Southgate mall and also by West Ed. Mall, so really 20 to 30 stories can go anywhere in the city. No doubt tall buildings have a place outside of downtown but there still needs to be consideration on how they should be sited and designed. Let’s say it blocks the view of the Alberta Legislature along the skyline or ruins the view of the river valley from the Fairmont hotel? I’m sure the pearl tower would look out of place in the middle of Whyte Avenue for instance. The question is this: to what degree do we make sure that tall buildings fit well into our neighbourhoods? I think the Toronto guidelines are a good reference to consider. The guidelines would not be there to limit the number of tall towers, but to push for better siting, design, and planning. 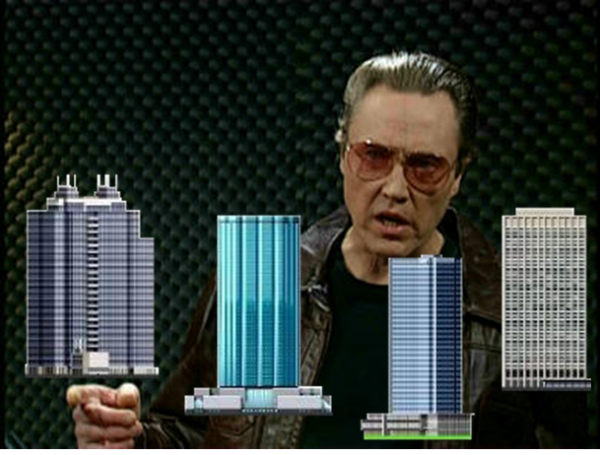 Tall buildings are the way to go to stop urban sprawl. I see these 6 floor low rises and think what a waste of space.